The capitalist will never want the government, not to provide tax sops or export incentives. Their focus will be how to squeeze the government and amplify the shareholder's wealth. I might sound harsh but the fact goes that many industries did not want cost efficiency and cost management since the final report goes to the government. If the government becomes educated enough to read the recommendations then doubling the shareholder's wealth will be set back as sops and incentives will dry down. Indian economy is now standing an inflection point where many new opportunities will open up for the economy. This raises the point that did work for the betterment of the society lead to dropdown or it should have been focused on doubling the profits of the Industries. No one can control pricing decisions. The day pricing decisions are being controlled dilution of the segment begins for every profession. It is better to hire as a consultant and employ rather becoming an obstacle for the shareholders. Well, I will come to this point later. Brexit and Trade war both are an opportunity for India to grow their exports and create new trade agreements. But giving tax sops and export incentives are not going to make the trade relationships affected in the long term keeping the global change in trade mindset by different countries. Donald has been clever enough to pass this information to the global economy that trade might be creating an impact on individual economic growth and creating more growth for exporting countries at the cost of the domestic economy. Well, many might say that this is too early to speak but the tune is set and it's going to be played accordingly. When one’s economic cost of production is not strong enough we find these sops and incentives to play their game. These are actually a cost to the taxpayers and revenue to the exporters. Lack of adoption of new cost management practices leads to cost for the society. As well all know that cost management and cost efficiency is for the betterment of the society at the same time lack of adopting the same creates a burden on the economy. The adjustment of tax sops and tax incentives given to the exporters is adjusted from higher taxes in the other vertical which reduces the purchasing power of the society and more importantly pushes up the inflation of the economy as taxes go up. This is a vicious cycle which can be eliminated only through the adoption of cost management strategies. Many will debate that adoption of advanced technology, replacing the traditional cost of production would automatically lead to low cost of production. Well, this technology adoption comes with a significant cost which cannot be taken up by many companies and further technology adoption will make the product competitive buy it will be a myopic sight. Product costing, efficient pricing of goods to make the product affordable for the larger society is the key requirement of the society. In most cases, it has been found that cost methods are not appropriate and strategic cost management is not in place. Life cycle costing, transfer pricing mechanisms, target costing has not been implemented. Only cost appropriation following the guidebooks of cost allocation. In many industries as per the threshold of the government notification cost audit is not required. Well, the point is how the government will come to know that how much export incentive and to which sector to be given. Even if cost audit is not applicable cost accountants can be hired to get their help. Growing complexity of running a business deters many from adopting twin audits in their organization. This might have been the reason why cost audit was curtailed down from the earlier historic level. Well in these circumstances the company can appoint cost accountants as a consultant or employ them within the organization so as their expertise can be utilized within the organization. Well, the cost accountants profession thinks for the betterment of the society but the companies of industries are capitalist minds and hence they would want export incentives and sops to improve their profitability and shareholders wealth. This might be the reason behind why the cost accounting has been diluted in the recent past. If the government does not get any report then industries can demand whatever their shareholders want them to double their earnings. 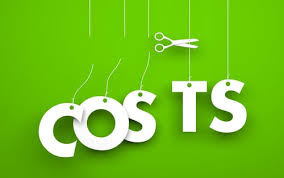 Cost management consultants can be adopted as an employee or as a consultant to get in-house reviews of strategic cost management and cost can be improvised for the benefit of the organization. Well, no profession can control pricing decisions but it can amplify the revenue growth of the organization and can make the industry to be more competitive. It’s better to double the revenue of the corporate rather making the suggestions for the betterment of the society at the cost of the corporate profits. I find Indian Industries should use the professional expertise of cost management for making their profits to grow by many folds.